The lights on the front of my garage are a mystery to me. They come on when they want and go off when they want, no matter what I do with the switch. I’ve checked to see if they are on timer and I’ve replaced both bulbs. The best explanation that I have is that there is a disconnect somewhere in the electrical circuit that feeds the lights. This reminds me a little of my prayer life. Sometimes the lights are on and everything is great. Other times things are dark and I don’t know why. The Bible teaches that God hears and answers prayer, but I don’t always feel like my prayers are getting through. Sometimes there seems to be a mysterious disconnect in my prayer life. As I began to search for answers I found four prayer short circuits in the book of James. 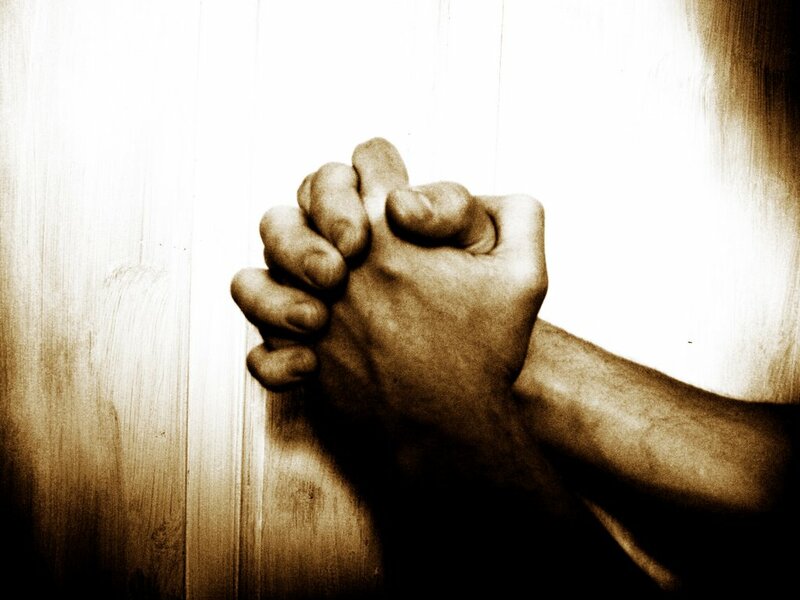 What sort of things inspire you to pray and what discourages you? In these verses we see that expectation (or faith) is an essential part of prayer. Our expectations can be bigger than our circumstances, because our God is bigger than our circumstances. Those who lack faith are like the waves of the ocean that tossed back and forth by their circumstances. They don’t pray with expectation because they are overwhelmed by what is happening around them. The only way to fix this short circuit is to own up to it. Like the man with the demon-possessed son in Mark 9:24, we must cry out, “I do believe; help my unbelief.” God is not offended by our lack of faith when we are willing to admit it and humble enough to ask for his help. Familiarity doesn’t always breed contempt; sometimes it breeds indifference and neglect. My wife and I have been married for 13 years now. On more than one occasion, I have had to ask her, “Did we talk about X, or did I just think about it?” God knows us better than our spouses know us. He knows what we are thinking before the words come out of our mouths, but he still loves to interact with us through prayer. This short circuit can be resolved by simply speaking up. Either audibly or internally, God wants to hear from His children. King David is a good example of this. In Psalm 5:1-3, he wrote “in the morning I lay my requests before you (God) and wait patiently.” Go to God with your wants, concerns, and needs and He will do want is best. The Apostle Paul included two of his prayers for the Ephesian believers in his book to the (Ephesians 1:15-18, 3:14-19). What strikes me about these prayers is how selfless and spiritual they are. Human nature drives us to ask God for things that benefit us. It also moves us to pray for temporal things above the eternal. But Paul seemed to be aware of James’ words here. God’s plans for this world are much bigger than you and your needs and wants. The way to repair this short circuit is to keep following Paul’s example. In Ephesians 6:18 he offers prayer “for all the saints” as way to challenge us to look beyond ourselves. The book of James is a challenging book that addresses a long catalogue of sin. In just five short chapters, James deals with apathy and inaction (1:26-27), partially and prejudice (2:9), an untamed tongue (3:6), jealousy and selfish ambition (3:14), arguing and murder (4:1ff), pride and boasting (4:16), and stinginess and extravagance (5:3). In chapter 5, however, James urges his readers to “confess your sins to one another” (5:16). This crucial for restoring broken relationships on a human level, but it presupposes confessing your sins to God as well. When we don’t feel like God is hearing or answering our prayer, it is easy assume that the problem is with God, but that is not true. Our connection with God can be interrupted by a number of things. Which one of these short circuits have you experienced? How did you overcome it? What would you add to the list? This entry was posted in Christian life, Prayer and tagged confession, faith, prayer, repentance, selfishness. Bookmark the permalink.